At the SITA World Tours Booth. Just back with 22 women from Ixtapan Spa, lots of interest in our new trips and in reunions with fellow travelers from our Club days. 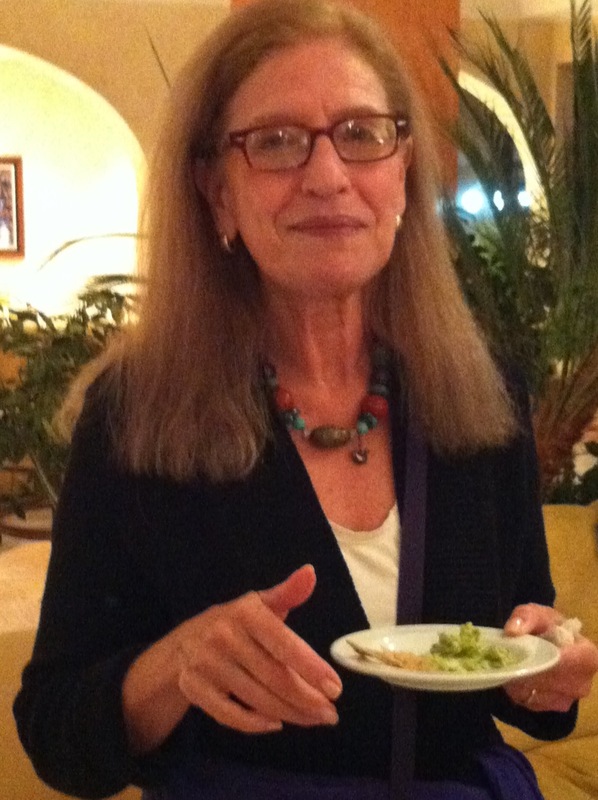 Here is me with a mouth full of guacamole at our farewell party and a necklace from a China trip with Women’s Travel Club, our first incarnation.